Sirindhorn hydropower dam was built by EGAT (Electricity Generating Authority of Thailand) for the purpose of hydropower and irrigation and is in operation since 1971. It is located in the northeastern province of Ubon Ratchatani, Thailand. It impounds the Lam Dom Noi River, and its reservoir is the province's largest water resource. The electricity is generated for domestic markets . However, a proposed irrigation canal for improved agriculture was never built. Protests began by the affected villagers after the beginning of the construction period in 1968 through establishing an anti-dam village opposite the dam entrance. Compensation provided on behalf of the government was in the form of resettlement of houses and land. However, land was of poor quality. In 1995, the Assembly of the Poor (AoP - a grassroots social movement) was established and some of the memberships were villagers affected by the Sirindhorn Dam asking for fair compensation for their lost land and livelihoods. Villagers have still only received partial compensation, estimated to cover approximately 80% of lost land but no compensation for livelihood loss. Protests continue to seek fair compensation and for the dam floodgates to remain open permanently (1) (2) (3) (4) (5) (6) (7). Level of Investment (in USD) The cost of the project is unknown. See comments below. (3) Foran, Tira & Kanokwan Manorom. 2009. 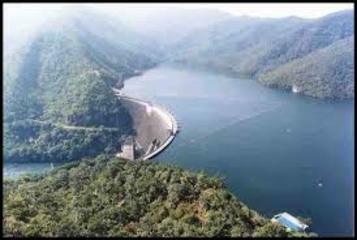 Pak Mun Dam: Perpetually Contested? Contested Waterscapes in the Mekong Region: Hydropower, Livelihoods and Governance, ed. by F. Molle, T. Foran & M. Käkönen, 55-80. London, Sterling, VA: Earthscan. (7) Zeller, Nicholas Ryan. (2012). New Means, Old Ends? World Bank Governmentality in Thailand and Laos People†™s Democratic Republic. Master of Arts Thesis, University of Tennessee, Knoxville. May 2012. (8) INTERNATIONAL RIVERS NGO, Affected Villagers. Other Comments The cost of the project is unknown. It was co-financed by the Thai government, the Japanese government, and the World Bank. The expenditure reported for compensation of the villagers in 1973 was of 578,241 US$ (18,8 Million Baht).